Cockroaches and Signs your Apartment has them! If you ever find a cockroach in your home, the chances are that you have more lurking! Cockroaches are a nocturnal insect that live & feed in the dark and conveniently hide during the day. Meaning if you find a cockroach during the day it is very likely that you have an infestation. Cockroaches will scurry through garbage and other unclean areas where they pick up diseases that will travel with them as they crawl around your home. It is reported that cockroaches have been implicated to spreading thirty three different types of bacteria including salmonella, parasites, cholera, and E. coli. To avoid contamination it is imperative to exterminate cockroaches immediately before they multiply. On a positive note, cockroaches are a bug that do not bite, that is unless you are the only source of food that is available. Thankfully that is very rare. Below are some helpful hints that will indicate if cockroaches have moved in! Hiding Grounds The ideal habitat for cockroaches is dark moist places such as behind refrigerators, sinks, under floor drains, inside motors and appliances. These moist areas should be the first places to check for visible cockroaches. While checking if you notice that there is a leak, you should make sure that these leaks are fixed to cut off the cockroach’s food source. Cockroaches can live about a month without food, but no more than a week without water. Deny them their necessary resource and be one step closer to being roach free. 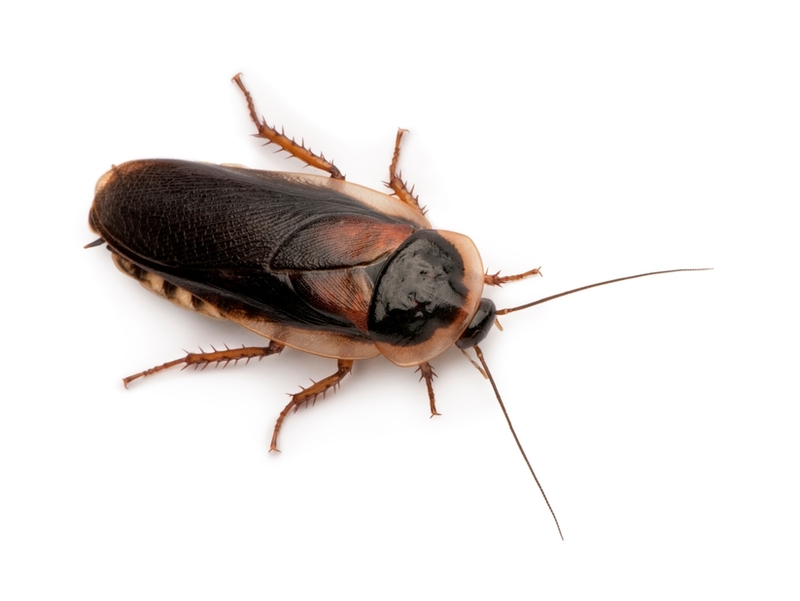 Other signs to look for if you suspect you have cockroaches is to look for cockroach feces. Their feces is easy to identify as it looks like small pieces of pepper or coffee grounds. If you have cockroaches there will surely be traces of feces around your home. The more feces that is visible the more likely your cockroach problem has escalated. Roach feces carries allergens that will heighten the symptoms of asthma. If you suspect a cockroach infestation and are experiencing harsher than usual asthma symptoms it is very likely that cockroaches have invaded your home. If you are experiencing a cockroach infestation you may also be able to spot egg cases. Depending on the species of cockroach one protective case can carry between 10 to 50 eggs, with German cockroaches producing the highest number of spawn. The cases range from 5-38mm and are a brownish red colour. If you spot the egg cases it is best eliminate them as soon as possible. A few options to eliminate the eggs are vacuum the eggs out, pour boric acid over them, or burn them. Exterminating the eggs will help limit the cockroach population and help you live roach free! There are several different species of cockroaches which call for different exterminating tactics. By identifying the type of cockroach you are dealing with you will be able to find more successful results. The most typical cockroaches in southern Ontario include German, Oriental and Brown Banded, with German breed being the most prevalent. Getting rid of cockroaches can be a strenuous cycle, so it is strongly suggested to contact an extermination professional. At Anypest we are experienced with dealing with each type of cockroach and have the knowledge to find the best approach to eliminate these disease carrying creatures as fast as possible. We have had success with only one treatment, with cockroaches being eliminated as soon as a few days! This entry was posted in Blog and tagged Cockroaches on 2014/09/08 by Any Pest.